The European Union is about to make its largest trade deal ever. The deal is with the mercosur trade bloc, which includes Brazil, Argentina, Uruguay and Paraguay. The EU has wanted to make this deal for years, but it has encountered various obstacles. Now it appears an EU-Mercosur trade bloc will finally become reality; officials believe it will happen this year. It would be the world’s largest trade bloc. 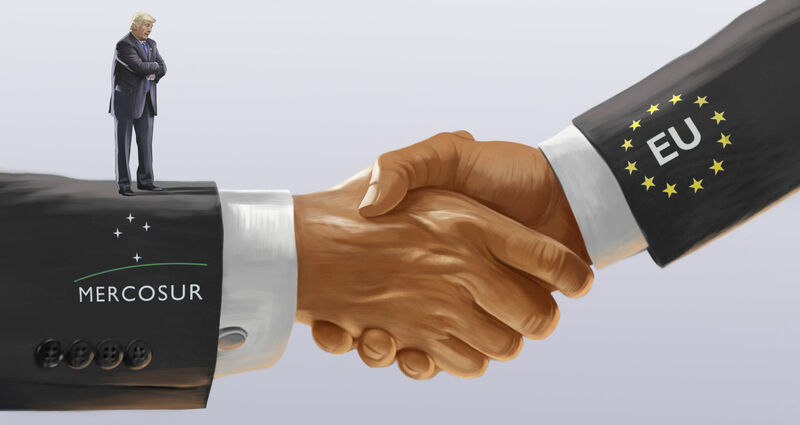 We have been prophesying for over 60 years that this deal will happen. This forecast is based on biblical prophecy. And it will have repercussions we need to think about carefully. It is destined to lead to some very dark days for America, if we don’t heed prophecy and realize what God has to say about it. In our online article “2019 May Bring Europe’s Biggest Trade Deal Yet,” we wrote: “In recent years, the EU has finalized trade pacts with Chile, Peru, Colombia, Mexico, Panama, Costa Rica, Honduras and Nicaragua. 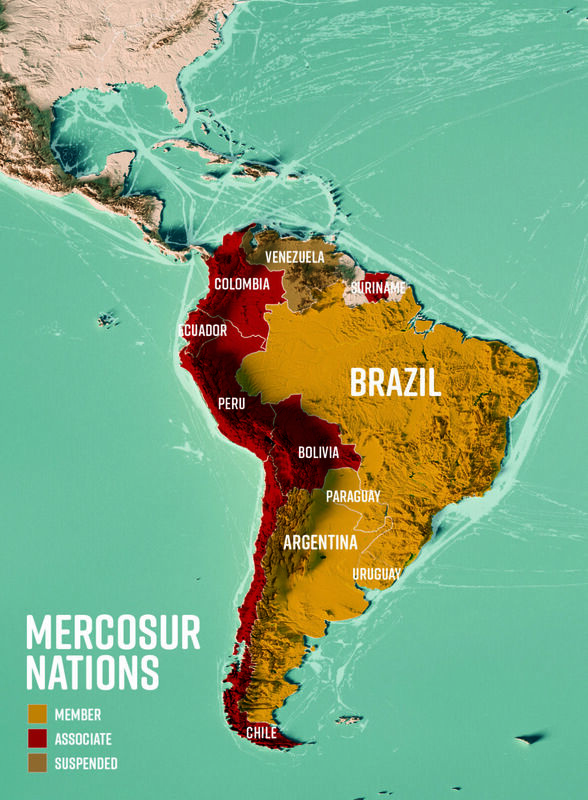 But since 2000, the potential enormous trade deal with mercosur has remained elusive. Now after concluding a trade agreement with Japan, ‘the EU intends to reach an agreement with the South American confederation of mercosur as soon as possible,’ Handelsblatt reported” (January 8). The mercosur countries possess resources that Europe needs. In return, Europe is supplying some of Latin America’s needs as well. The reality though is that by linking itself with Europe in this way, Latin America is contributing to the rise of a modern resurrection of the medieval Holy Roman Empire! Few Americans are paying attention to the situation that is developing to our south. But I guarantee they won’t be able to ignore it indefinitely. This trade agreement will impact the whole world! It is going to affect your life dramatically. The seeds are being sown for a trade war and an economic besiegement that will help destroy America. This trade deal is that important! To understand what Bible prophecy says about this Europe-Latin America deal, you need to know some crucial ancient history. The story of America’s exalted position in the world today traces all the way back to the biblical patriarch Abraham. God called Abraham and put him through a severe test of his faith. When Abraham passed it, God made an extraordinary promise to him: “By myself have I sworn, saith the Lord, for because thou has done this thing, and hast not withheld thy son, thine only son: That in blessing I will bless thee, and in multiplying I will multiply thy seed as the stars of the heaven, and as the sand which is upon the sea shore; and thy seed shall possess the gate of his enemies” (Genesis 22:16-17). God promised to bestow real power on nations that would descend from Abraham—nations that are still on the scene in modern times! You can read the full story of how God kept this promise in Herbert W. Armstrong’s book The United States and Britain in Prophecy, which we will be glad to send you at no cost. What does it mean to possess the “gates” of your enemies? In practical terms, it means controlling worldwide trade. Which nations is this referring to? God promised that they would become the greatest single nation and greatest company of nations this world has ever seen (Genesis 35:11). The United States and Britain in Prophecy identifies them. The U.S. and Britain have the name “Israel” today (Genesis 48:16). They received this birthright promise. God gave them fantastic prosperity and power. God blessed our peoples because of Abraham’s obedience. Our wealth and power didn’t come because of our impressive ingenuity. It came because our forefather Abraham obeyed God! Those blessings included the strategic gates of our enemies. “Although all wealth comes from the ground, prosperity and affluence on a national scale always have come also by industry and commerce. And commerce between nations has been transacted almost altogether by the sea-lanes of the world—by ships,” Mr. Armstrong wrote (op cit). Before World War ii, Britain and America controlled every major sea gate in the world: Gibraltar, the Suez Canal, Singapore, the Panama Canal, the Cape of Good Hope, Malta, Cyprus, the Falklands and many others. This was a significant part of the birthright promise from God. “So we must be modern Israel,” Mr. Armstrong wrote. This is simply a matter of history. But what is the situation today? The fact is, a great deal of America’s and Britain’s power and prestige has come and gone! Read Leviticus 26 and Deuteronomy 28. There God instructs us and tells us how we can be blessed: by obeying His laws. But He also warns that if we disobey, we will be cursed. He desires that we choose blessings instead of curses. But we must choose. America is making some wrong choices, and we are suffering the penalties. For example, America today has a $22 trillion national debt, and that figure keeps soaring higher. God promised that if we obey Him, we would lend to many nations, but never have to borrow (Deuteronomy 28:12). There was a time when this was fulfilled in Britain and America. But now, we borrow far more than we lend. Something is not right! We are not being blessed anymore. We are not prospering in our ways (verse 29). Because of our sins, our nations are losing our prosperity and international prestige. Notice this specific warning of a curse for disobedience: “And he shall besiege thee in all thy gates, until thy high and fenced walls come down, wherein thou trustedst, throughout all thy land: and he shall besiege thee in all thy gates throughout all thy land, which the Lord thy God hath given thee” (verse 52). We trust in our walls today. We trust in our own power. We don’t look to the God who gave us that power. And God is taking that personally! God gave America and Britain those sea gates. He made Britain the greatest empire this world has ever seen, and America the greatest nation on Earth. We ought to acknowledge where our prosperity has come from. We ought to ask for forgiveness for using these blessings in a sinful way. This is a prophecy that America is going to be besieged in all our gates! The national economy will be battered by foreign competition. Look at these prophecies in light of Latin America’s strategic position. America cannot truly be besieged unless Latin America is part of it. Moses warned ancient Israel about something that applies to us “in the latter days”: “For I know that after my death ye will utterly corrupt yourselves, and turn aside from the way which I have commanded you; and evil will befall you in the latter days; because ye will do evil in the sight of the Lord, to provoke him to anger through the work of your hands” (Deuteronomy 31:29). We see this evil growing in the alliance between Latin America and Europe today. We need to watch the relationship between these two because it is certain to have a dramatic impact on the lives of every person in the United States! That prophecy was written over 60 years ago! It is prophecy that could only come from God. Latin American countries cannot manufacture their own advanced weapons, but they have avoided relying on the U.S. or Russia for them. Instead, they have chosen to side with Europe. “South America is welded to Europe’s military system,” we write. “The alliance is secure. South America’s military is hugely dependent on Europe” (emphasis mine). It is looking to Europe, and particularly Germany, to bolster its military armaments. This has been going on for years. A strongman is coming on the scene to aid in the development of that union…I believe we could see this strongman appear in 2019. Latin America possesses tremendous resources. Germany knows this very well. This country is leading Europe. And prophecy shows that it will soon also be leading Latin America, as head of a reconstituted Holy Roman Empire! This relationship will probably take another step forward this year—a frightening development for the United States. If this massive trade deal is finalized this year, then I believe we will see the current 28-nation European Union pared down to the prophesied 10-nation superpower this year as well. Before Europe can be closely tied to Latin America, something will have to change. The current politically and religiously disunified EU will have to become a politically, militarily and religiously unified Holy Roman Empire. Latin America is already quite united in its religion; the Holy Roman Empire will have to become united in its religion as well. And the only way to remove the division is by reducing that union to 10 nations. It is prophesied to happen (Revelation 17). A strongman is coming on the scene to aid in the development of that union (Daniel 8:23). Only he can shape the Holy Roman Empire and take control. I believe we could see this strongman appear in 2019. This European power is destined to become the number one superpower in the world! Mr. Armstrong prophesied precisely what we see happening today! This is a union that will be stronger than Russia and China. It will be stronger than the United States. It will instigate a massive trade war—and America will be frozen out! 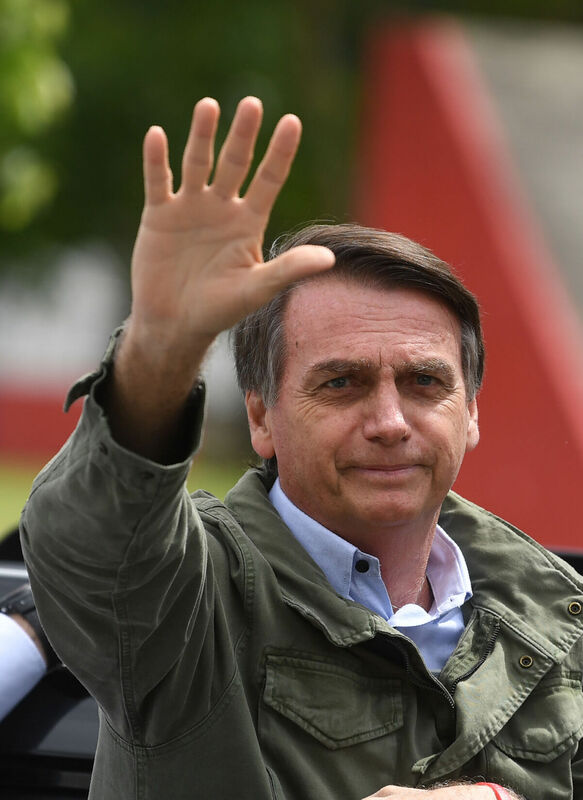 As we wrote in our January 8 online article, “Europe is already turning its back on the U.S. and seeks to pull Latin America to its side.” What a monumental change! Europe is going to become the world’s number one superpower. It is already equipped with nuclear bombs. So you can be sure that once it gains that kind of economic clout, it will be a power that will terrorize the world. We can avert that terrible crisis if we just look to the great God who inspired Bible prophecy! Latin America and Europe have forgotten about all the foreign aid America has given them. They are turning to one another—and are already beginning to leave America, as Mr. Armstrong’s Plain Truth said, out in the cold. We must remember: America cannot be besieged economically and in a trade war unless Latin America is a part of that siege. With Latin America joining in, America is surrounded. Please read our article “Preparing to Storm America’s Castle,” and study our infographic, to better grasp this reality. Yet the United States has deferred to these powers as our “lovers” (Hosea 8:9). We trust other nations rather than God. But God warns that we had better beware. Our spiritual Father is angry because we are trusting in men! Now He is putting it in these foreign powers’ minds to undermine and attack the U.S. This will be difficult for many people to believe. But there are many prophecies in your Bible that tell you exactly what is going to happen. The trouble is, most people do not read their Bible, and those who read it don’t believe what it says! “Therefore thus saith the Lord God; Behold, I, even I, am against thee, and will execute judgments in the midst of thee in the sight of the nations” (Ezekiel 5:8). This warning should wake people up! God Himself is telling the nations of Israel that He is against them! Not only are our enemies against us, but God is as well. This should strike terror in our minds! Through all this suffering, we are going to come to know God. God wants to know each individual person. He doesn’t want us to be killed by evil men. But sadly, it will take a lot of suffering for God to get through to stubborn mankind. There is no hope for us to avoid the Great Tribulation—the worst period of suffering in human history (Matthew 24:21)—if we fail to heed God’s warning. Responding in repentance will save our physical lives. We should seek that with all our being. “Wherefore, as I live, saith the Lord God; Surely, because thou hast defiled my sanctuary with all thy detestable things, and with all thine abominations, therefore will I also diminish thee; neither shall mine eye spare, neither will I have any pity” (Ezekiel 5:11). God is upset with how we are living. But we need not suffer. In Ezekiel 6, God tells His people to “prophesy against” Israel (verse 2). God wants to save His birthright nations! God says there is a small number of people that He will protect (symbolized by His telling Ezekiel, “bind them in thy skirts”—Ezekiel 5:3). God says that if you obey Him and do His work, He will protect you from these looming troubles. He will try and test us—but in the end He will protect those who turn to Him, be it individuals or nations. Through all this suffering, we are going to come to know God (Ezekiel 6:10). God wants to know each individual person. He doesn’t want us to be killed by evil men. But sadly, it will take a lot of suffering for God to get through to stubborn mankind. Even if you don’t repent today, after the worst suffering this world has ever experienced—the Great Tribulation—God is still going to lead this world into the Second Coming of Jesus Christ. You won’t see any more Holy Roman Empires. You won’t see any more wars. The Earth will be filled with happiness, joy and peace. What a wonderful time that is going to be! That time is very close. You are surely going to see it come!